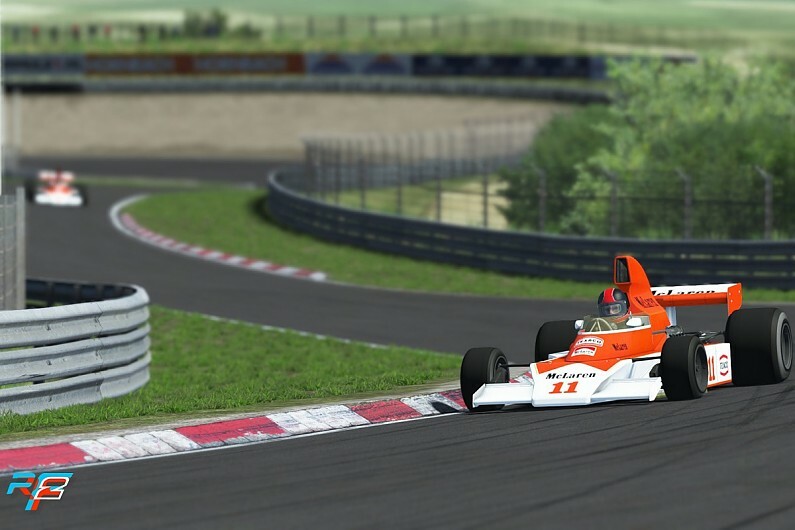 CMS Members are competing and discussing the McLaren rFactor 2 Shadow Competition. See these links for full details on how to get involved and win some great stuff! Additionally visit our forums for more discussion and help with laps in the competition. Competition annoucement and info on getting started. Competition homepage, sign up, and competition overview. Just wondering if anyone else here is playing around with this? I've found I'm becoming quite addicted to besting my own best times, trying to find that one run that defines perfection. It's tricky, and initially I arrogantly thought I'd go in, do a time a few seconds off the top 50 or so, and improve from there. Boy was I wrong! Sitting mid 300s on the list right now (1:33.2xx), hoping to improve another second or two, at the least. How I could gain 4 SECONDS (an eternity) is beyond me. Feels like I'll run out of skills in the 32s, but perhaps I'm wrong, thought the same thing when I worked it into the 35s. Very interested in the next competition, M23 at Zandvoort. The car is a bit more my style, and I'll be interested to see how some of those that sit higher on the charts here fare in a very different machine from the past. Maybe a bit more chance to climb further up the list in that one as I tend to lap in a bit higher tier in such cars. So, is anyone else doing this? Be interested to see some times, if so. Please share if you wish!